Christmas Break is on the horizon and we all know what that means—a couple of days in and the familiar refrain of “I’m bored” becomes the daily mantra. 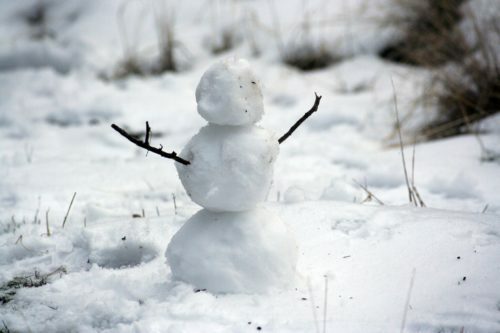 With all the snow on the ground and in the forecast, bundle up your restless natives and get them outside for some fresh air and fun with these boredom buster ideas. On your mark, get set, go! 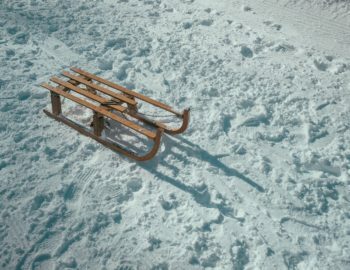 When the snow has been piling up, it’s time to go sledding. Grab your toboggan, sled or tubes and get to the nearest hill ASAP. Check out this link for some of the best places to sled locally. The winter Olympics are coming soon. Why not try out your own figure-skating moves on the ice at these outdoor locations. Time to perfect that double axel, or at least just try to stay on your feet. Head out to the front yard and build a snowman. Get creative and turn him upside down—using sticks as legs in the top snowball and capping them off with boots. Get even more creative and try a snow dog, unicorn or any other animal that strikes your fancy. Looking for an easy start? Make several smaller snowballs and line them up to create a snow centipede or snake crawling across your landscape. Have a good, old-fashioned snowball fight. Split into teams, pile up your ammo and let ‘er rip! Make roads in the snow, and let the kids take their cars and trucks outside to practice their winter “driving” skills. Bury a variety of small toys in the snow to create a fun scavenger hunt. Give the kids a list of things to look for and provide a prize for the one who finds the most items. You could also bury glow sticks and have everyone find one in every color. The first person to find them all is the winner. Mix up some easy snow paint. Combine 1 packet of Kool Aid with warm water in a spray or squirt bottle, using one flavor per bottle, shaking well. This recipe creates bold colors and smells great. You can use a few drops of food coloring in water for the same effect. Make giant ice marbles. Fill balloons with water and food coloring, tying them to close. Place out in the snow to freeze. Once solid, carefully cut off the balloon and you have colorful marbles to brighten up your winter landscape. Bubbles aren’t just an activity for the summer time any more. Try them frozen. Use 1/4 cup of dish detergent, 1 cup of water and 1 teaspoon of glycerin, combining in a container. Use a regular bubble wand or a straw to blow bubbles. They will freeze in the cold air and eventually explode into fragments. Make an outdoor tic-tac-toe board in the snow. Use a couple of crossed sticks for the x’s and pinecones for the o’s. Try to outsmart your opponent with your sneaky moves. Two 12 ounce bags of semi-sweet chocolate chips (mix it up with a bag of white chocolate chips or bittersweet chips). Setting your slow cooker to high, combine sweetened condensed milk and chocolate chips. Stir after every 15 minutes or so to help the ingredients melt faster. Once melted, whisk in milk and vanilla and cover until heated through. Feel free to leave the cocoa in your slow cooker for 3 to 4 hours on high, stirring every so often. 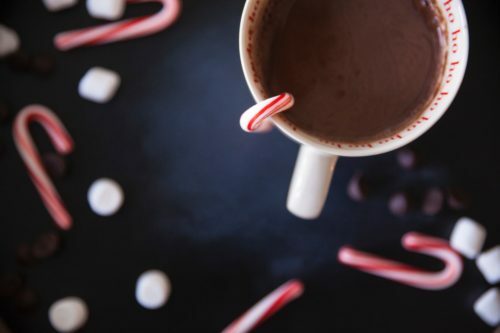 Ladle into cozy mugs, and don’t forget the marshmallows!